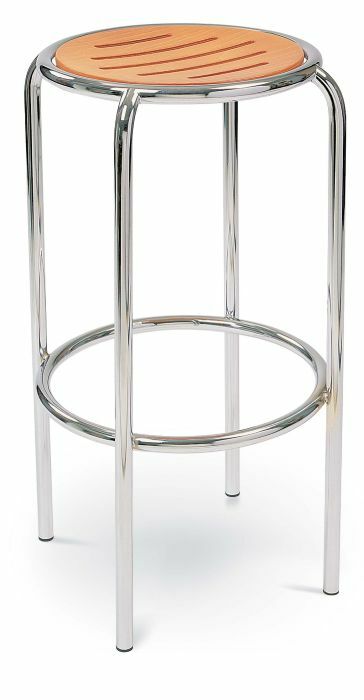 Stylish bar stool with chrome or Aluminium tubing. If you order from stock for next day delivery you can get a ready maid chrome frame with beech seat. A simple bar stool with a slatted plywood seat and circular footring. 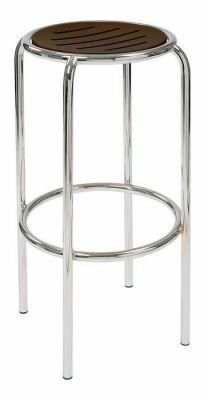 The Ringo bar stool is available with a silver or chrome base. 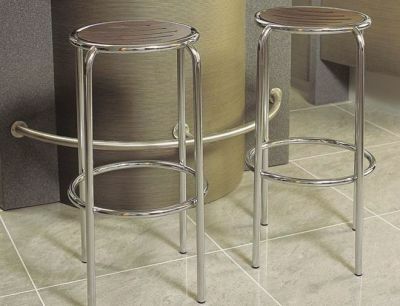 These bar stools are manufactured in Europe. 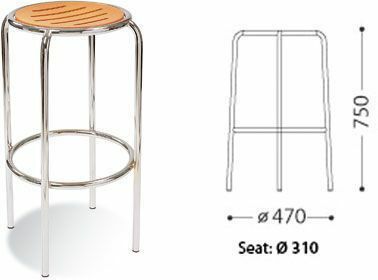 The beech seat and chrome frame version is held in stock for a 7-10 day lead time the other versions are delivered in 4-5 weeks direct from the factory. Ringo bar stools have a five year warranty against deign and manufacturing defects. 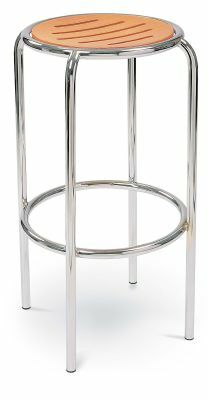 Please contact us for further information on these bar stools.